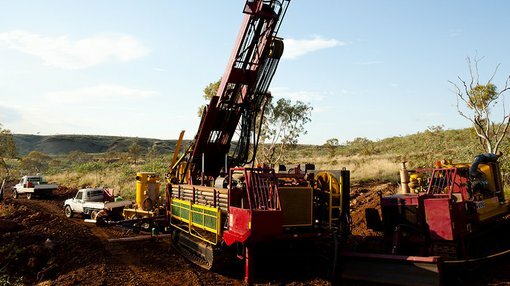 Northern Cobalt (ASX:N27) this morning announced that it has been granted an additional five tenements covering ground prospective for cobalt at the Wollogorang Cobalt Project in the Northern Territory. The new tenements surround the company’s existing three tenements and lift its tenure at the project from 1131 square kilometres to 4986 square kilometres — more than tripling N27’s prospective land. 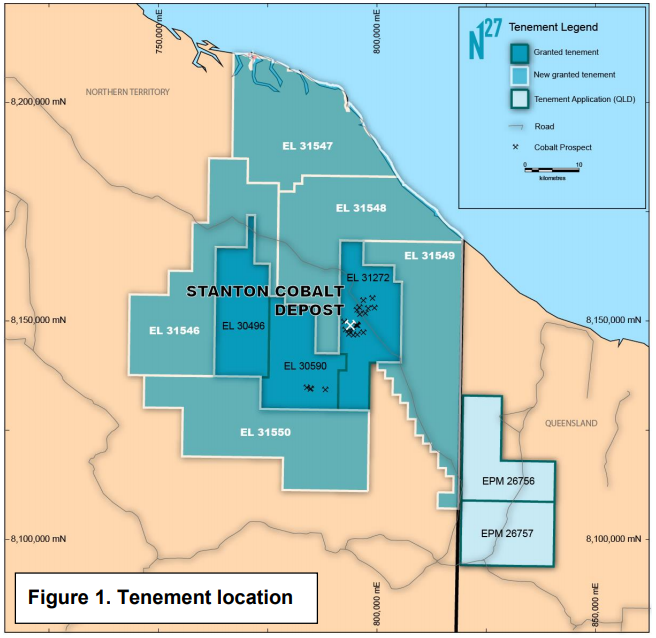 The company first applied for the ground in March 2017, which covers the same prospective geology that hosts the Stanton Cobalt Deposit and the Selby Cobalt Prospects. N27 has also applied for an additional two tenements across the border in Queensland. The Gold Creek Volcanics, which are host to the Stanton Cobalt Deposit, extend across the Northern Territory/Queensland border into the area covered by applications EPM 26756 and EPM 26757. Two rock chip samples taken by historical explorers show elevated cobalt values of more than 800 ppm cobalt within the application area. Along with news of the new tenements, N27 also provided an update on its operations. Based on the exploration success that it enjoyed in the first field season, N27 has developed more efficient exploration methods to explore for Stanton style cobalt mineralisation. Interpretation of the detailed airborne magnetic and radiometric data indicates that the best drill targets are covered by a thin layer of transported sedimentary material, potentially masking underlying mineralisation. The new approach will use detailed airborne geophysical data, combined with a compact mobile drill rig to obtain samples for geochemical analysis beneath the transported cover. A geochemical index has been developed to allow the use of portable XRF (X-Ray diffraction) for real time analysis. Mineralised anomalies will then be tested with targeted conventional RC and diamond drilling. Further detailed airborne magnetics and radiometrics will be flown over much of the company’s now expanded tenure in preparation for the upcoming drilling season. The data will be interpreted and new drill targets identified to be ranked with targets on existing tenements. The new exploration methodology will allow N27 to rapidly assess targets for cobalt mineralisation, giving it the best chance of identifying new targets and adding to existing resources in the coming field season. From here, N27 expect the final set of results from the 2017 drilling campaign at the Running Creek and Felix prospects, as well as extensions to the Stanton Deposit, to be received by the company this week.